Integrated Refinery and Petrochemical Complex Public Co., Ltd. (IRPC) in Rayong, Thailand has a refinery (215,000 B/D) as well as several petrochemical plants that produce chemicals such as olefins (360,000 t/y) and aromatics that are used as feedstock at various types of plastics plants. One of these facilities, a 152,000 t/y high density polyethylene (HDPE) plant, relied principally on legacy pneumatic instruments and a PLC based safety system. (Some of the pneumatic instruments had been replaced with single loop controllers.) Due to high maintenance costs and the need for higher efficiency and productivity, IRPC decided to revamp its plants by installing new control systems and instrumentation based on the latest technologies. Through the course of this project, Yokogawa Thailand successfully installed a fully integrated CENTUM CS 3000 production control system (PCS) and ProSafe-RS safety instrumented system (SIS) together with a plant information management system (PIMS) and an asset management system (PRM). Phadet Prarom, PD11 Division Manager, said, "We are now very comfortable operating the HDPE plant and are experiencing no major problems with Yokogawa's systems. Yokogawa's systems and products are highly reliable." He went on to say, "We actually reduced the number of operators after introducing the PCS. The integrated production control system is functioning well. We are proud of our new control room, the brain of a VigilantPlant." Marketed under the POLENE trademark, this polymer resin features properties such as high density, high stiffness, high impact strength, opacity, and good chemical resistance. HDPE is used in a variety of applications including consumer packaging, beverage bottles, pipes, and ropes. The biggest challenge was applying the latest digital technology. Digital and pneumatic systems are fundamentally different in design and function. It took about five months to do a detailed study of all the control loops and configure the production control system, and another month to do all cabling/wiring and systems installation. In addition to the wiring of about 5,000 I/O points for the new systems, some field equipment was replaced. At the same time, operators underwent training in the new PCS at Yokogawa's Rayong office and engineers and maintenance personnel went to Yokogawa's Bangkok office for training in system configuration using feedback and sequence control functions. Yokogawa Thailand provided customer support from start to finish of this reinstrumentation project. 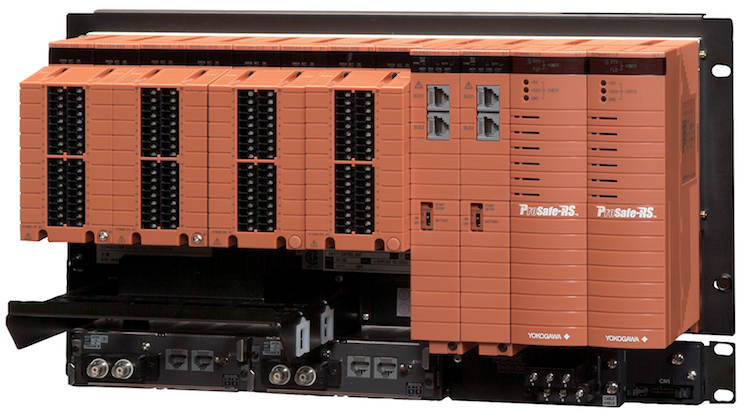 To improve safety, the ProSafe-RS SIS was installed to give the polymerization process an emergency shutdown capability, and the SIS was integrated with the PCS. With this system, every point in the SIS can be monitored from the human machine interface (HMI) in the same manner as the PCS. 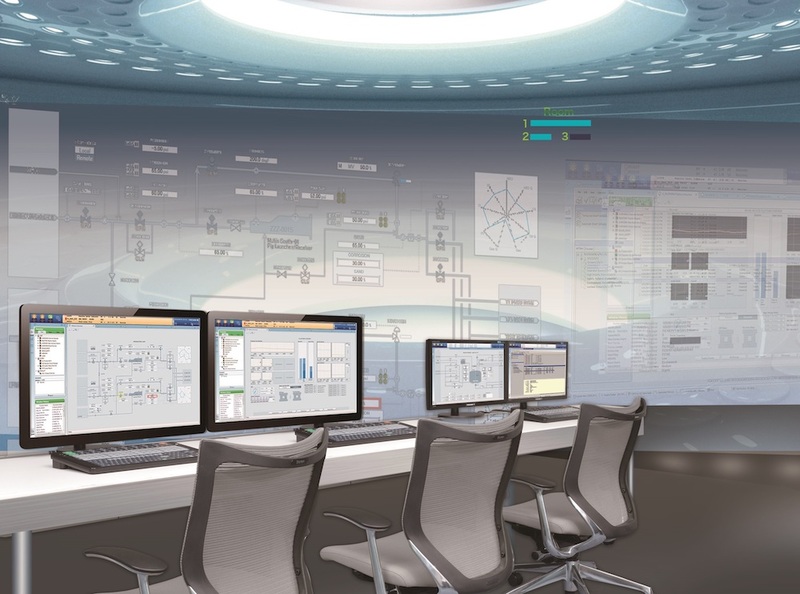 In addition, all PCS and SIS HART field devices can be monitored from the central control room with the Plant Resource Manager (PRM) package, enabling a more predictive and proactive maintenance approach that reduces total cost of ownership (TCO). Also, all process data can be handled in an integrated manner by the Exaquantum PIMS for improved product quality and system operation. Through solutions such as these, Yokogawa Thailand is working with its customers to help them achieve a VigilantPlant.